There is no question that fall in Northern California has settled and taken up residence while overtaking the higher elevations and slowly infiltrating the parched valleys below. Temperatures have cooled the mornings and evenings. The heat of summer has left us basking in the glorious season of seasons. Plus a heavy weather system is en route. We are excited, are you? 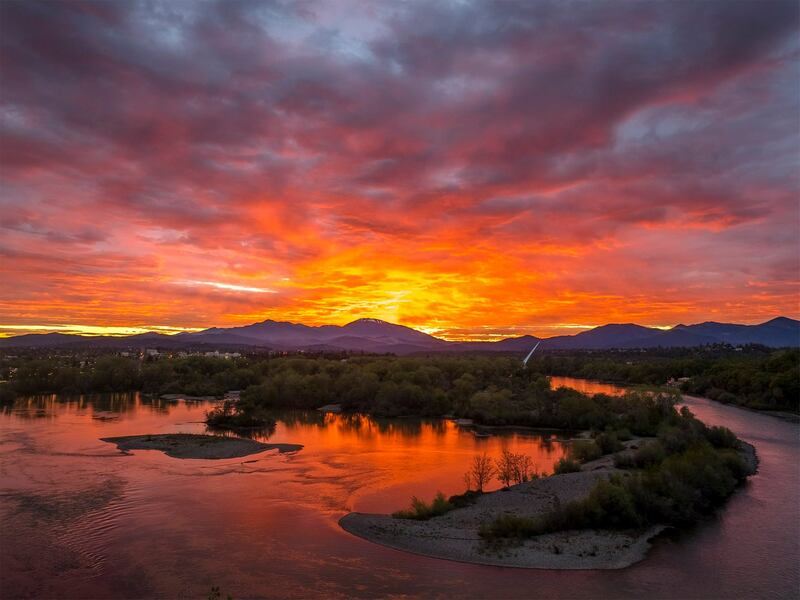 The weather, fishing opportunities, fall colors, cool mornings and spectacular sunsets are all great in October. The list of greatness in this month is longer than a California Steelhead Report Card. If we became President we would make October three to four months longer for all to enjoy. Vote for Kennedy! Ha, yeah right. This may not mean as much to others as it does to us, but with October also comes postseason major league baseball. San Francisco Giants Baseball! It’s often asked in the North state whats the difference between Giants hotdogs and others teams hotdogs? Giants hotdogs are available in October! There is still a long rough road to the World Series and first we have to get through the plagued Chicago Cubs, the team that is most synonymous with losing. Sounds easy right? The Cubs haven’t won a World Season since 1908 and haven’t even played in one since 1945. Despite the final outcome, we still relish in the Giants making it in 2016. This years Cubs have proved to be a formidable force to be reckoned with, and their talent is stacked deep. They are one of the most complete teams to come through baseball in quite a while. We kind of have a soft spot with the Cubs as we grew up listening to Harry Carary and the famous seventh stretch rendition of “Take Me Out To The Ball Game.” *The Chicago Cubs beat the San Francisco Giants in the 9th inning of game four. Uggg. Well, at least we still have steelhead. Weather: There is a storm a brewing! 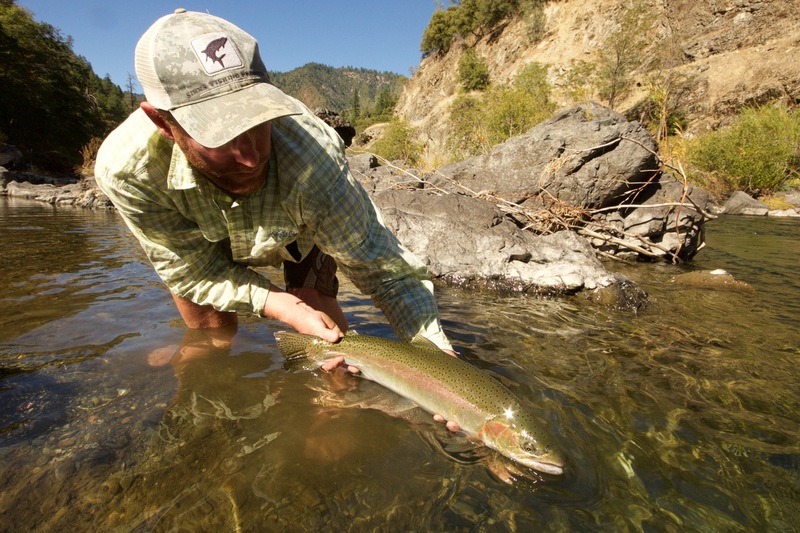 We’ve enjoyed a ridiculously amazing fall season so far, and we have even been blessed by a decent rain storm earlier in the month which helped kick off the celebrations and the coming of the steelhead. We are as giddy as schoolboys as we head straight into our super busy season. There is a major system brewing in the Pacific, and the forecast confidence is HIGH. As with the San Francisco Giants, we are going to have to wait to see what really happens as the storm approaches Northern California. One thing is for sure though: this baby is opening up the storm door leaving the opportunity for an early onset of precipitation far after the first front hits. BIG PATTERN CHANGE IS EXPECTED LATE THIS WEEK, AS A SERIES OF WEATHER SYSTEMS MOVE INTO NORTHERN CALIFORNIA. SEVERAL WAVES OF RAIN ARE EXPECTED, STARTING LATE THURSDAY AND CONTINUING INTO EARLY NEXT WEEK. PRECIPITATION CHANCES DECREASE LATE MONDAY INTO TUESDAY. SNOW LEVELS LOOK HIGH AT THIS POINT, MAINLY ABOVE MAJOR PASS LEVELS. SEASONAL PASSES SUCH AS SONORA AND EBBETTS PASSES MAY BE IMPACTED, AS WELL AS LASSEN NATIONAL PARK. COOLER TEMPERATURES WILL ALSO ACCOMPANY THE PATTERN CHANGE. 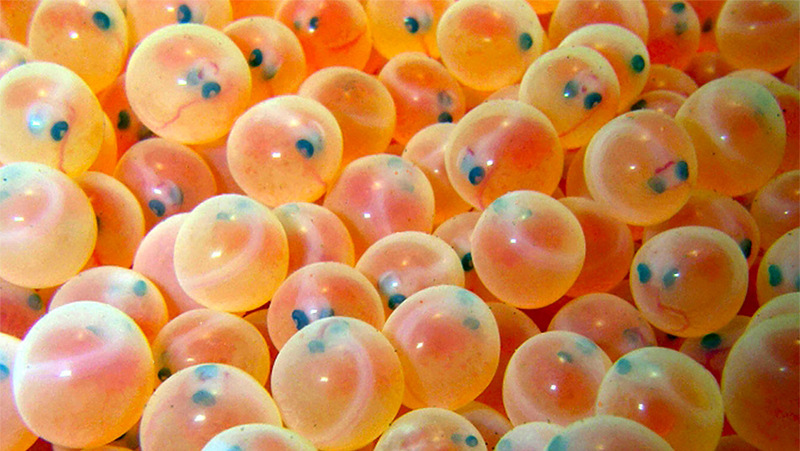 Just as the Cubs are synonymous to losing in October, the Lower Sac is synonymous with the salmon egg bite this month. Yeah, it can be a good time to fish the river but it’s also the most popular time and the river is commonly overrun with every guide and fly angler within driving distance. It’s not nearly as good it used to be. It wasn’t that long ago the river was quiet and the community was small. But all things change, and one thing is for sure, we are fortunate to have this impressive year round trout factory. If we all take care of it maybe it will survive the current wave of pressure it’s been receiving and continue to produce memories and enjoyment for the generations to come. Overall the river has been fishing good to great with some inconsistency throughout the week. Fishing suffered to a degree on days where the water flows were not steady or dropping. Also the aquatic weed hatch will continue to increase which isn’t a major problem but be sure to check your flies and remove all debris. On days where an abnormal amount of weeds are cut loose it seems to effect the overall bite. Caddis have still been pumping particularly well on the warmer days and seem to be more prolific on most sections of the river after noon. Although in some stretches they are available almost all day especially near heavily oxygenated water. 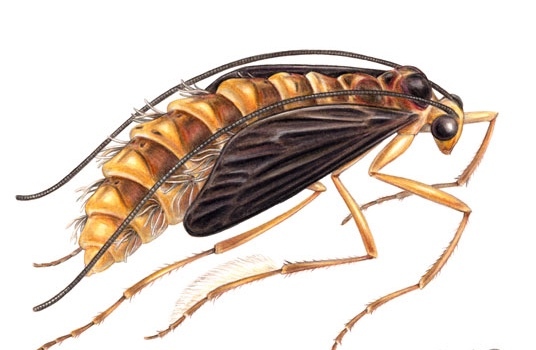 Small mayfly and decent midge hatches have littered the river sporadically these past few weeks. One point of interest this last week which we don’t remember encountering this time of year was a flying ant hatch. Although it didn’t bring the monsters up it did provide some excellent dry fly opportunities in the shallows and flats particularly near the edges. Not sure if anyone looked up from the indicators and noticed but hopefully some got in on the action. Getting away from the old bobbers and cannon balls is always a sweet treat. The egg bite and the amount of salmon above the Barge Hole has been light although gradually increasing. Not to say it isn’t happening here and there but its definitely worth noting the lack of salmon in the upper system. Typically by this time we have more established salmon redd’s and more active chinook spawning. The salmon are far and few between but there should be more coming up the system. Expect this year to be especially light compared to previous years. After talking with several sources with the California Department of Fish and Wildlife it looks like many of the chinook salmon destined for the cool riffles of the upper section near Redding appeared to have taken a detour. It is suspected that the trucking of fish down river in previous years, attempting to increase salmon survival rates numbers, may have caused the fish to imprint on rivers further down in the system like the Feather and the American rivers. So there might not be as many salmon in the Sacramento River spawning this October but they are still around. 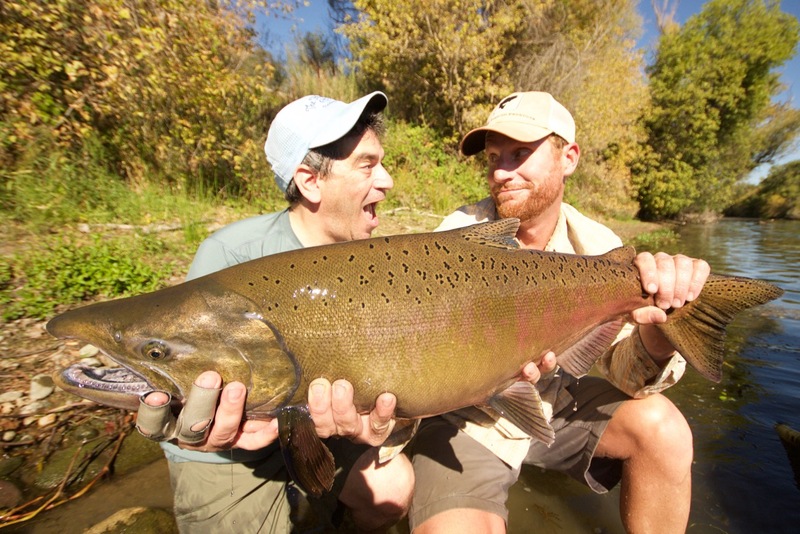 Check out this fly caught chinook from down river! The Trinity has fish! Although conditions are not currently prime, pressure from anglers seeking steelhead has been light. Most of the salmon guys these last few weeks have been out on the river by day break and haven’t been a factor. Nymphing, swinging and dry fly fishing fishing have been productive for anglers and guides able to find fish. There have been pods of both wild and hatchery fish moving up through the system with some large fish showing. One hatchery fished that reached the hatchery earlier was taped at a whopping 43 inches! That’s one big fish and one helluva bbq! The best success for swinging has been below Junction City with the best results coming from below the gorge. There are fish spread out from the top of the system all the way down to the confluence with the Klamath. The Trinity is low and clear. Stealth, long leaders and smaller flies come to mind. For boaters, be aware of new obstacles. The river has changed in a few spots and could pose serious threats to anglers not ready for the changes. Look for conditions to improve after this next storm system and for fish to head into river. There are also a ton of smolt balls around so be prepared to deal with the little guys, they are voracious and attack. Take the time to treat them correctly and ensure their survival. The best part of October on the Trinity? Shorts, sandals and swinging for steelhead! Shorts, sandals and swinging for steelhead! Like to fish big dries? 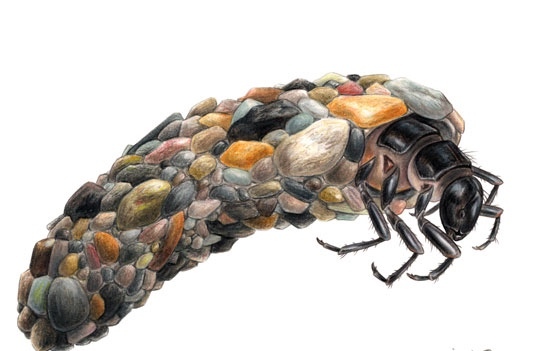 Now through mid-November can be a great time on the Upper Sac, McCloud and other rivers in Northern California to throw the big bug. Target late evenings and hitch a dropper off the back for a deadly little twist. This entry was tagged fishing report, lower sac fly fishing report, October caddis, Sacramento Chinook, trinity fly fishing report. Bookmark the permalink.